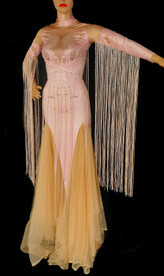 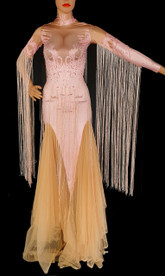 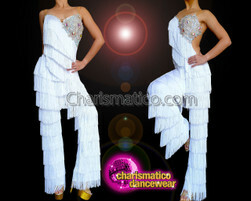 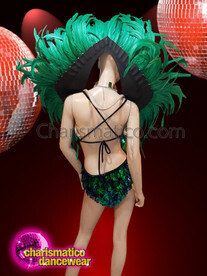 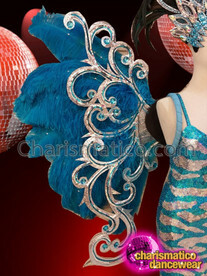 Showgirls wear fabulous gowns or costume on stage and they often have shimmers or glitters. 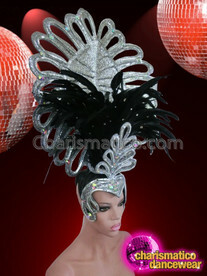 This diva gown is covered all over with black and silver sequin and stones. 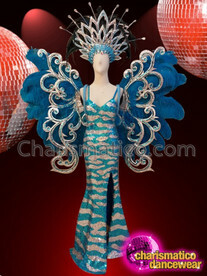 It also has a mermaid gown that is why the bottom is covered with black feathers. 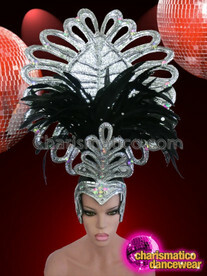 The headdress is a made up of white feathers and complements perfectly with the black feathered backpack.